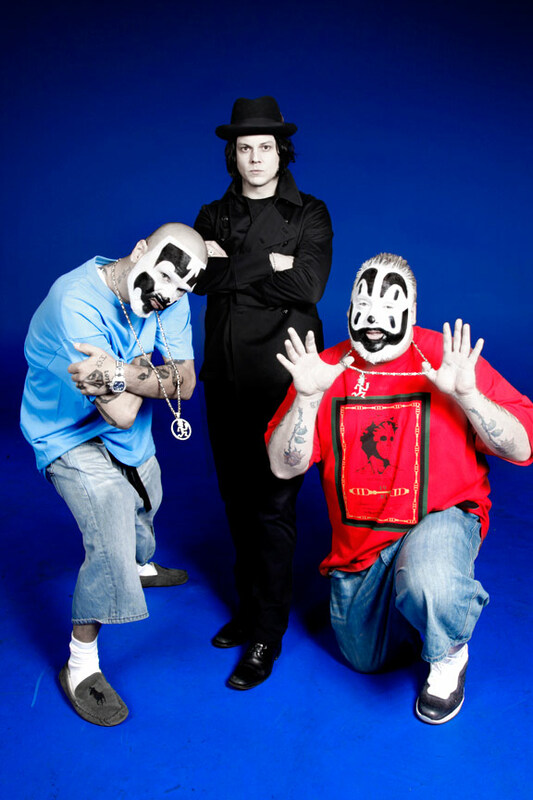 No doubt you’ve seen and heard the Jack White/Insane Clown Posse collaboration, covering a more obscure Mozart-penned tune. Check it out at the Third Man Records site. So far, many folks have decried the notion, and wondered aloud why White would do such a thing and why he would team up with an act like ICP. The truth is, ICP are a gleeful piss-take on the whole serious music biz thing, which White has seen inside out. He can do whatever he wants, and this little hookup is likely meant to confound his followers. White is also business savvy; ICP have sold millions with a tenacious work ethic, wit, fun and much more substance than anyone gives it credit for. Attaching to that fan base can’t hurt, provided the art is somewhat pure. The b-side is what has me curious; “Mountain Girl” reportedly features “the best steel guitar player in Nashville,” I am told. What a great idea, and Detroit should be rejoicing. Once again, the world gets to see the city in a musical light. Curiously, no word from White on this; ICP have handled all the media.